With what seems like a flood of new video production companies hitting the off road market, it's tough to decide where to spend your $25 on a good quality wheelin' video. I'm sure there are some great videos coming from all the Johnny-Come-Lately companies. But why gamble when you have well known companies like RP Films who have been around competitive rock crawling since day one, cranking out great movies? 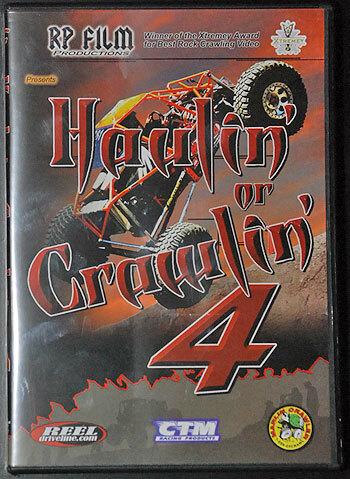 With their fourth offering in the "Haulin' or Crawlin'" Series, the bar has been raised yet again. While I'm a competition junkie, many Pirate4x4 readers enjoy watching trail footage. Well HoC4 covers everything fairly equally, with maybe a bit more competition coverage. There is some good Farmington, NM, trail wheelin' on old ARCA courses along with some Arizona wheelin' with Tracy Jordan and Bruce Zellar. There is also some great footage from the Tin Bender Jamboree in Johnson Valley (the Hammers). To satisfy the comp junkies like myself, there is plenty of in-your-face W.E Rock and XRRA carnage AND technical driving. I love the fact that you have the option to turn off the music at the beginning of the video, as I'm not a huge fan of the music found in the majority of extreme sports videos, and unfortunately HoC4 is no exception. For me to say I don't like the music may not be accurate, however, because after a few beers with a group of friends at the house, I always end up cranking the surround sound to neighbor annoying levels. Overall, RP Films has done it once again, and has outdone any of their past efforts, and in my opinion has produced the best rock crawling/racing video to date. Video is full screen/color NTSC 60min. 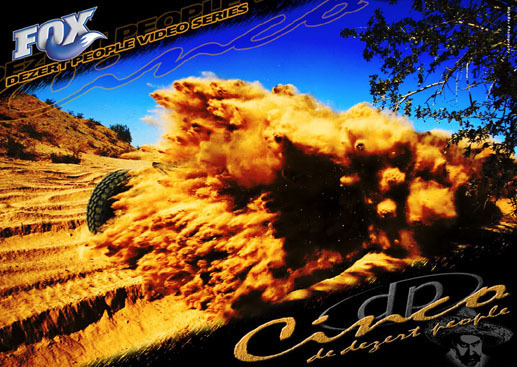 If RP Films and it's Haulin' or Crawlin' series is the king of rock crawling, it' safe to say that JD Films is the ruler of the desert with its Dezert People series of videos. Once again, there are more video companies roaming the desert than there are pesos in Mexico. But there can only be one king of the desert media, and that king is Curtis Guise of JD Films. Even before I became a huge desert racing fan, I was an avid viewer of the early episodes of the Dezert People series. You don't need to be "into" desert racing to ohhh and ahhhh at eight hundred horsepower trucks doing one hundred miles per hour over four foot whoops. The video speaks for itself in front of any crowd. You'd have to be dead not to enjoy a video like this. There is a great mix of Baja footage (Baja 1000, 500, etc) and other desert races, along with outrageous CORR short course action, Rally cars, and plenty of trick pre runners doing things you wished your grocery getter Ford Ranger could do. I had the opportunity to watch this movie in Baja, Mexico at Papas and Beer at the 2007 Baja 500. The crowd was going crazy for 60 minutes, and I'm certain that you will too. Playtime: approx 60 Minutes + bonus footage. If you are throwing a party at your house, and you want to keep everyone entertained all night, you need these two movies. Play them back to back, and repeat as necessary. Definitely my two picks for best movies of 2007.